London Green Left Blog: Where Should Greens Stand, and not Stand, in the UK General Election? 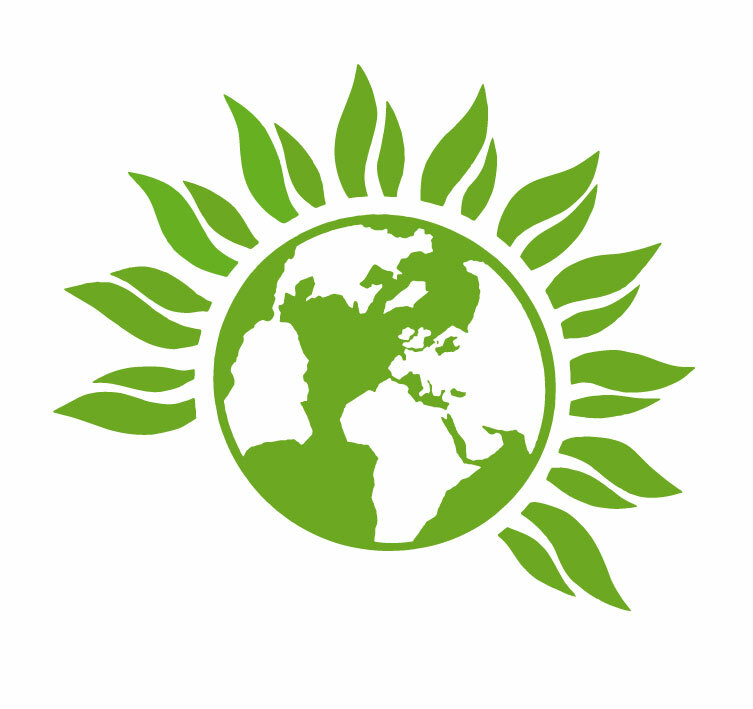 Where Should Greens Stand, and not Stand, in the UK General Election? I don’t know about other local Green parties, but in mine, Haringey, in north London, the decision to stand, or not, in this year’s snap general election, is causing some angst. I think, given the fact that this election has been sprung on us, it is best to consider whether we stand from a tactical voting perspective. I hope other local parties are also thinking through this possibility. The aim of any tactical voting should be to support whichever party is best placed to beat Tory candidates, which in England is likely to be Labour or the Lib Dems in most places. It is not something I’m particularly happy about, having for years urged the voters to vote on principle for the party (Greens) that they most prefer, rather than settle for the least worse option. Lesser evilism, as it is known. But in the circumstances, the snap poll and what is at stake for the country and its future relationship with the European Union (EU), and the prospect of a rabid right wing Tory government, seemingly determined to sweep away what is left of the welfare state, I think we have to consider this. Local factors of course come into it, not just who are the likely winners of these Parliamentary constituencies, but also local electoral plans. In England (and Scotland and Wales), there are local authority elections and regional Mayoral elections on 4 May. This might mean that local party’s strategies for local elections are fairly untouched by a general election a month later, so it could be easier to take a decision to not stand in the general election. That is not the case with London though. London council elections are in 2018, so this June's general election is definitely part of the equation now. Will London Green Parties have to build this into the calculations for next year? I think most probably will. What is at dispute in my local Green Party, is whether we should stand a candidate in Hornsey and Wood Green constituency, where I live, in the general election. We did well in the other Parliamentary seat in Haringey, Tottenham, in the 2015 general election, taking 9% of the vote and coming second, though a long way behind Labour. It is the best result by far that we have ever had in Tottenham. We are targeting a ward in Tottenham for next year’s council elections, and there is no argument about standing in the general election in June. In Hornsey and Wood Green we scored 5.4% in 2015, and this seat has a recent history of managing to save our deposit by gaining 5% of the vote or more in 3 out of the last 4 general elections. So it is not completely hopeless. This seat is currently held with a 11,000 majority by Labour, but was held by the Lib Dems from 2005 to 2015, mainly on the back of the Iraq war. There is absolutely no chance the Tories will win this seat. I think Labour will win the seat comfortably. Catherine West, wisely, voted against triggering Article 50 to initiate our rather reckless course on exiting the EU, in a constituency that was in the top 5 or 6 Remain constituencies in last year’s referendum. I think this will cover her against any Brexit backlash that may occur in other places, in favour of the Lib Dems. I was the Green Party election agent in Hornsey & Wood Green from 2007 to 2014, and have studied the voting patterns very closely over time. What the voters tend to do here is punish incumbents who go against their wishes on national matters. Barbara Roche the sitting Labour MP was thrown out in 2005 because of the Iraq war, and her successor Lynne Featherstone, was thrown out in 2015 because of her party’s coalition with the Tories from 2010 to 2015. I see no threat of this kind for Catherine West, who seems to be a reasonably good MP too. So, for me there is no tactical reason why the Greens should not stand here. I don’t see there is anything to lose by standing, but I think there is by not standing. If we don’t stand, and I don’t think it will make any difference to the outcome, one way or the other, but we will be giving the Lib Dems a free ride to rehabilitate themselves here. In fact, I think if we do not stand, we will make it more likely the Lib Dems do better than if we do stand. As election agent over the years, you get to meet lots of activists from other parties, and many Labour activists have said to me that they were pleased we stood, because they think it takes votes off the Lib Dems, and they may well be right. I think we will take as many votes from the Lib Dems, probably more, than from Labour. I must confess I don’t understand all the angst about this locally, but I suppose we are just in dread about what may happen generally on 9 June. But we should not lose sight of the fact that any tactical voting should be aimed at thwarting the Tories, not helping the Lib Dems. Of course you should stand, we need to build upon that 9%. We are standing in Tottenham (9%), it is the other Hornsey and Wood Green (5.4%) that is contentious. Agree that Haringey Greens should stand in H&WG. In Hampstead & Kilburn, a more marginal seat, we will invite sitting Labour MP Tulip Saddiq to come to a meeting of Camden Green Party to discuss what commitments she can give us over Brexit, pushing for proportional representation for general elections and to push Camden Council on divestment (and possibly other stuff). This then becomes a win-win (we hope) and should attract local positive media coverage. Either Tulip meets us and agrees some kind of cooperation on Green Party key issues, or she refuses. Either way the Greens should come out of this as the most reasonable, responsible party. At an officers meeting yesterday we agreed that we can't stand aside without receiving at least something back. Otherwise the Green Party could end up looking ineffectual: we ask the other parties for an alliance; they refuse; we step down anyway. On that basis, why should anyone support us? A useful contribution Mike. But do please get the facts right about Tottenham in 2015. Greens came 3rd and Tories second. See http://www.bbc.co.uk/news/politics/constituencies/E14001002. Some people may already have seen the analysis of which seats might go to the Lib Dems this time on https://www.theguardian.com/politics/2017/apr/23/general-election-2017-six-battlegrounds-could-shape-vote. H and WG is on the list of places where LD might win 'if there are outsize swings'. Along with Hampstead and Kilburn, Ilford N. and Enfield N are listed as seats where a Labour MP might lose because of 'Corbyn’s lukewarm attitude to Europe and his party’s halfhearted embrace of Brexit may pose problems'.Of these, in Enfield N UKIP defection to Tories could easily beat Joan Ryan (sitting Lab MP) whilst Greens came 4th.In Ilford N, similar pattern for Lab MP West Streeting though Greens came 5th. In Hampstead and Kilburn, where UKIP came 5th, a swing from Lab to either LDs or Green could destroy Tulip's 1.1% majority.